Sunday, September 10 is National Grandparents’ Day. And while it’s great to have a day devoted to our grandparents, it’s more important to take care of them year-round. Here are 10 ways you can help your grandparents remain happy and healthy well into their old age. 1. Cook them a meal. Your grandparents have probably cooked you more meals than you can count. Now, it’s time to return the favor! But instead of making a dish loaded with fat, try something that will boost their brains instead. Maintaining social interaction is one of the best ways to ward off dementia. So be sure to call your grandparents regularly! They’ll be thrilled to hear about your life. Plus, you might learn something from all the sage advice they dispense. 3. Teach them how to use technology. Sure, trying to teach your grandparents how to use a computer might be frustrating. But they’ll be working their brains by learning a new skill, and you’ll help make their lives so much easier! And if you live far away, you’ll save a ton of money if your grandparents learn how to use Skype. 4. Help them create a memory book. The more you remember, the more you’re able to remember. Help keep your grandparents’ brains sharp by creating a memory book with them. Be sure to include both recent events and events from decades ago so you’re working their long- and short-term memory. Better yet, take them on a trip down memory lane and see what stories come to mind. You’ll learn a ton about your own family history this way. 5. Visit when you can. Skyping and calling are great, but nothing beats a visit from the grandkids! Make sure you budget in at least one trip each year. Spending quality time with your grandparents will boost their mood and help combat any depression they might be facing. Like social interaction, exercise is another great way to stay healthy even into old age. So encourage your grandparents to keep up with their physical fitness. If you live far away, maybe you can inspire them with your own fitness challenges and by asking about theirs. Live close by? Try stopping by once a week to go out on a walk together. 7. Send them a brain game. If you want to send your grandparents a present for National Grandparents’ Day, try sending one they’ll enjoy and that will help them. 8. Check out their house. Your grandparents’ living environment will cue you into any early warning signs they might not be doing so well. So when you do visit, make sure you spend some time at their house! Make sure it’s clean and livable, and watch out for any potential dangers as your grandparents get older – like slippery staircases. 9. Help out your parents. Your parents are already likely doing the things we mentioned above. While we don’t want you to stress out about your grandparents’ health, your parents will definitely appreciate any extra help – so ask if there’s something specific you can do. And if your grandparents have already passed away, be sure to reach out to your parents on Sunday! They might be having a hard time and need some support. Your aging grandparents might be losing some of their mental function. But that’s no reason to treat them like a child! Unless your grandparents are endangering their own safety, let them make their own decisions. You are still the grandchild and thus need to remain respectful of their wishes. Leave the tough battles to your parents, who your grandparents are much more likely to listen to. Advertisements or commercials are normally the things which we love to hate. Because they pop up unannounced when we are immersed into the TV watching a high intensity match or a climax of a movie. Most of us use it as the time to skip through channels to find anything interesting is being shown in other channels. But there are some ads which are either made so cleverly or so dumb, that we cant get it off our mind. In this post I will list down some of those ads which fall in that category. Well as I spoke about Jingle, there is one which became so close to heart and finally a ringtone for millions of Indians. Its none other than the Airtel Ad featuring Music maestro AR RAHMAN. The Music was godesque and so soothing to hear. There are some wonderful commercials which shows the world, how advanced we have become in technology and other areas. This ad from Hyundai creating and delivering Message to space is surely an achievement, we can be proud of !! As humans we always look for inspiration to motivate us. And there are some commercials which within their limited 1 or 2 minutes time, touch our deepest part of the heart and leave us inspiring ! Below are few of those inspirational ads !! Well when you think of corporates and conglomerates there are always rivals and competitors. And some of them come up with brilliant and funny ads to showcase their brand has more value than its rivals. We all know how big the rivalry is with Samsung and Apple. And when Samsung started to mock Apple and its fan boys in its commercial it became a huge hit and soon other mobile manufacturers followed it up with similar tactics. Check out one of the first such commercial of S3 mocking Apple 😛 !! If we are talking about rivalry, we cannot miss out the Coke wars between Coca Cola and Pepsi !! If you take a look at the below commercial You will know of sure who comes out at top 😛 !! Even though its banned, its sure to tickle some funny bones !! If we are talking funny, how can we leave out PEPSI ? They themselves have some of the funniest ads to be created and telecasted in the media. Let me list some of them below !! Did you like what you have seen Or have I missed some good ones? Share your views in comments below !! As we all know, Digital India is an initiative of our beloved Government of India to integrate the government departments and the people of India. It aims at ensuring the government services are made available to citizens electronically by reducing paperwork. The initiative also includes plan to connect rural areas with high-speed internet networks. Digital India has three core components. These include the creation of digital infrastructure, delivering services digitally and digital literacy. Even though this project is slated for completion by 2019, with global tech giants such as Intel fostering our government’s vision of a Digital India through its ‘Digital Skills for India’ and ‘Innovate for India’ initiatives, the project can complete way sooner than the planned date. Intel has been fostering technology as the enabler for creating a digitized India. Digitizing India is process of evolution. We live in 21st century where everything is getting modernized and digitized. If we still use paper and pen and loads of manual record books at every office, it will look like we haven’t evolved. When whole world is booking tickets online, if we stand in queue to do the same, we go a step backwards in making India a developed nation. So to evolve as a nation and make India a Developed nation we have to Digitize India. 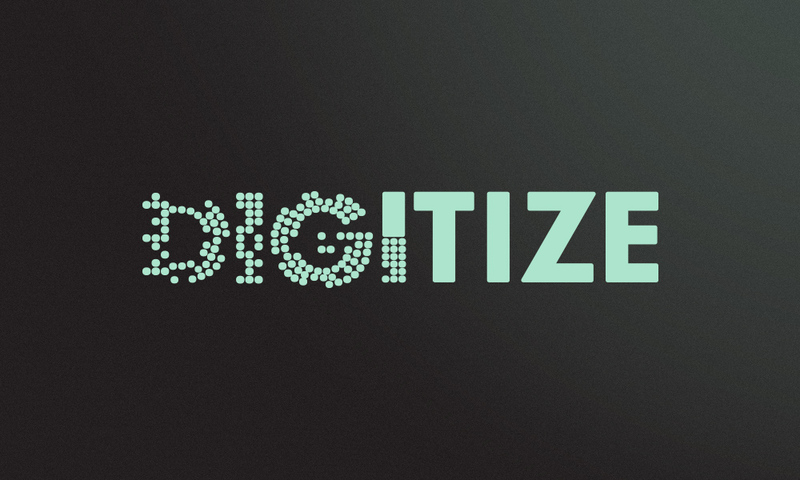 We know a fair bit about digitizing. It means making it available online to the world wide web. 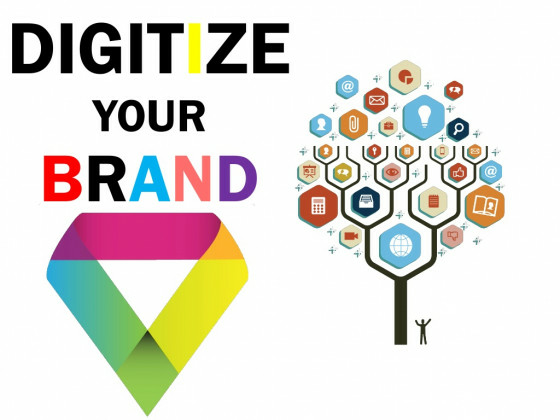 Digitizing India is like digitizing a Brand. Just like how we promote and market a brand to more exposure in social media, similar steps needs to follow to Digitize India. Nations bright minds have collaborated and came up with National e-Governance Plan (NeGP) as a solution to Digitize India. The plan is to make all government services available via electronic media to the every citizen of India. How e-Governance helps Digitize India? e-Governance makes the Government Smart. Through usage of e-Governance common man gets empowered. Through its usage all government services will be available to citizens in a convenient, efficient and transparent manner. The transparency which is much needed in a democracy can be bought back through e-Governance. It is also a wonderful tool to bring accountability and whistle blowing in India. Efficient e-governance is an innovative way to deliver government services and exchange information with citizens in a convenient and transparent way, saving both time and money. Increase in smartphones and internet access can surge the growth of e-governance. With many nations following this path, we can take a leaf out of their books as experience and fasten our process. Also with many multilateral organizations upping efforts to share e-governance experience such as Intel through its ‘Digital Skills for India’ and ‘Innovate for India’ initiatives fostering technology for #DigitialIndia & Better tomorrow. With innovative apps and technology which can reach common men, we can surely Digitize India and make it top of the developed nation list. Lets Join hands with INTEL and make #DigitalIndia !! India being the second most populous place in the world, still lags way behind in the smartphone penetration zone. Only about 16.8% of Indians use smartphone. Researches predict overall worldwide smartphone penetration may hit 50% by the end of 2017. Still India will struggle to touch 35-40% by 2017. 4) Phone is for calling, these smartphones comes with so many widgets & bloatware which are not for everyone need. Now that they have made their claim, let me tell you why to #ChooseToStart with MOTO-E and how it smashes all these misconceptions people have about the smartphones. Yes you heard it right. They aren’t costly like people think and doesn’t make a dent in the pocket. The Moto E Second generation with 3G Connection costs only 6999/- bucks . Its way too cheaper considering many brands sell their basic model bar phones in similar prices. Motorola shares the vision to make everyone a smartphone user. So they came up with the business strategy to introduce cost effective smartphone to everyone which offers great value for money. Our challenge was to create a premium smartphone experience for people who don’t want to spend a lot of money. We put some of our top engineers on the task. The result: the new Moto E, which brings some of our signature software experiences to our most affordable phone for the first time, so more people everywhere can choose a great smartphone. Lets hear it from the man behind the strategy RICK – President & COO of Motorola !! People think that Quality is inversely proportional to the cost of the product & if the product is cheap it is bound to defer in terms of quality. But Moto E is not the same. If you still think it lacks in quality look at the below specification. You can also hear from Magno (Moto Marketing Team) how they have embedded all quality products and still made it cost effective in the video below. Motorola like always promises to provide pure android experience. They don’t deal with bloatware or widgets which consume lot of space. Most importantly they listen to voice of customers. They still believe CUSTOMER IS KING. That is the only reason, they bought most of the premium features from high end flagships to Moto-E.
Wanna know more? Take a look at below video to know how much they are committed to bring Pure android experience to everyone !! Some of the added benefits of this smartphone are the presence of dual camera. The rear camera if of 5 MP which can take some splendid shots. Double twist to open camera even in locked state is really an added advantage. With the Front camera you can take loads of selfies on the go. Forgot to bring your camera while dining? No worries !! use Moto E & capture beautiful shots to flood your Instagram timeline !! Add Colors to Your Life by customizing Moto E. Choose from the wide range of colorful Motorola Bands or Grip Shells that are easy to swap out, so you can change your phone accent color as often as you want. Not only are the patented bands designed to look great, but they also feature a unique ridged pattern which provides an even better grip. With Super Fast Quad Core processor , Latest OS & All Day battery you are in for a Buttery smooth Experience !! Still in Dilemma whether to go for it or not? Well I have made my point, now the Choice is yours !! Whenever we hear about Singapore, all we could think about is the shopping malls, Island resorts , universal studios, underwater aquarium, zoological parks and other such architectural monuments. The one thing that skips everyone’s mind is that Singapore is a food haven. Dining, is said to be the country’s national pastime. The diversity of the food and variety of food representing different ethnicities such as Chinese, Malay, Indian and hybridization of these cuisines has led to multi styles of cuisines under one roof. Dining along with shopping is one of the Singapore’s best attractions. They also have a Food festival annually to celebrate multiculturalism of Singapore’s cuisine. With availability of local to international cuisines ranging from vegetarian to Halal it would be fitting to call Singapore as FOOD PARADISE. In this post, I present you some of my favorite dishes from the abundant Singapore cuisines !! 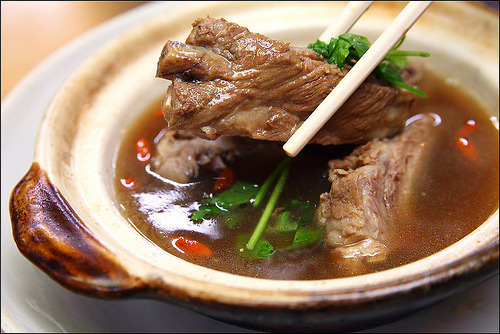 This is a traditional soup which is very good for health. It contains multiple herbs and pork ribs. Its taken as a tea regularly in Singaporean households. Its is also very tasty which makes it a must have during Singapore visit. This plated art is a traditional Singaporean breakfast. 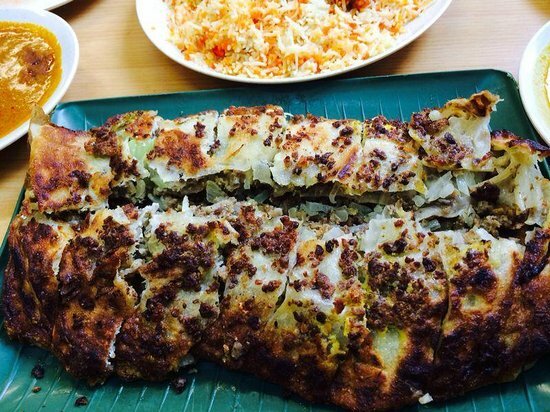 It includes bread loaf, lathered with coconut and covered with layers of melted butter. Its so tasty you will feel like floating in heaven. This is a classic. 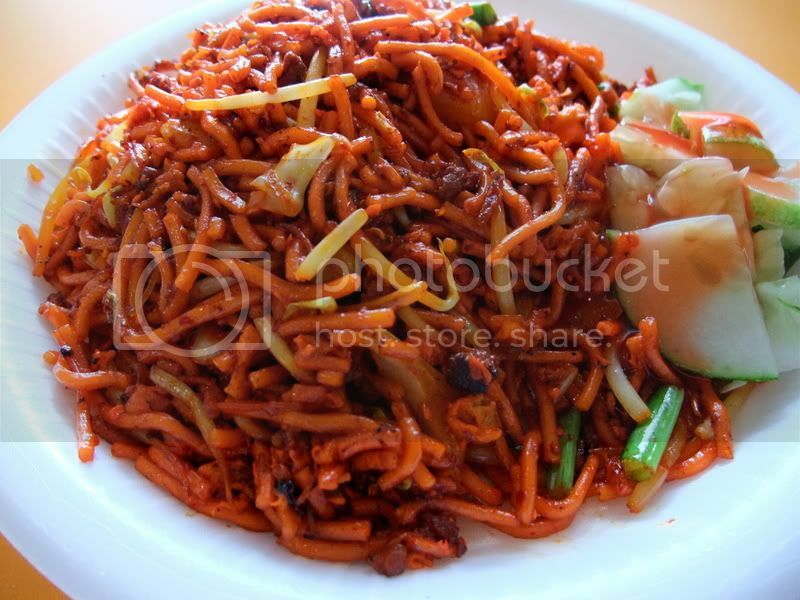 This fried noodles with its garish red appearance not only tastes spicy, it looks spicy too. With tomatoes, egg, green chilies, mutton mince, cabbage and diced potatoes it does make everyone salivate. This is most commonly available in Singapore. Its usually served with curry. Nowadays people are getting so creative with all kinds of fillings and combinations — cheese, mushroom, durian, ice cream, honey, banana, cashew nuts, and even sardines. It offers multiple variations to the original Roti Prata. Some variations such as Chicken Floss Prata, Red Bean Prata, Prata Benedict, Roti Plaster are both mouthwatering and delicious. When it comes to desserts, nothing can beat Ais kacang. A grinding machine is used to produce the shaved ice mountain on top of a bowl of assorted ingredients like red bean, palm seed, agar agar jelly, chendol, grass jelly or any other filling desired. Evaporated or condensed milk is then drizzled on the top along with red rose syrup to produce the multi-coloured effect. Here is my meme dedicated to the Food Paradise — Singapore !! We live in the modern world, the 21st century where everyone talks about equalities in everything. But we forget the most common statement “The change must first come from within the individual, only then can he or she attempt to make a significant contribution to humanity“. Recent researches suggest that even now women engage in lions share of housework despite the raise in working women. This not only happens in rural village areas, this is common everywhere even in developed metropolitan cities. The domestic household chores, such as cooking, cleaning, washing, food shopping, taking care of sick relatives & elderly are labelled as women’s work in our society. These Gender inequalities are deep rooted in social structures and also in people’s attitudes. These thoughts are so deep rooted, that even many women think its their primary job to do the household chores. These stuffs adds a lot of burden to working women, as they have to manage both personal and professional life within a smaller time frame which adds to stress and health deterioration. Growing up in a family with two sisters, my parents always used to say ‘Sharing is Caring’, ‘Share everything equally with your sisters’. 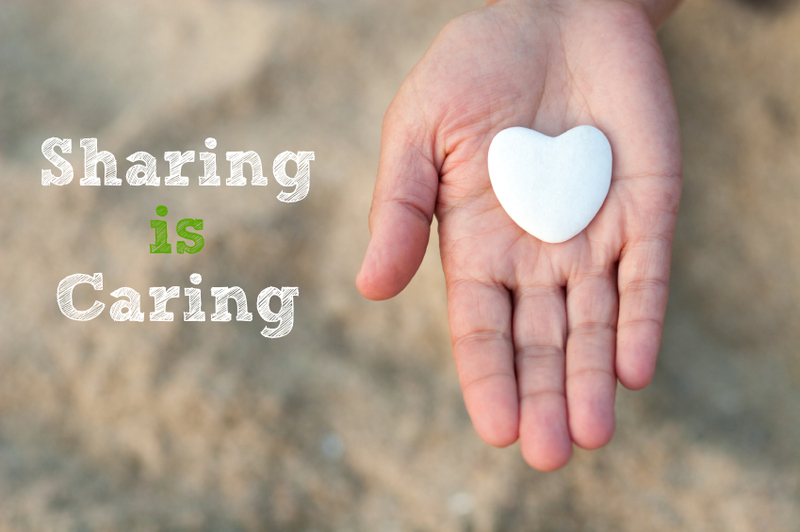 Sharing makes the world a better place. It makes two souls happier. The person sharing the load/helping others will feel better for doing a good deed. The person receiving the help will also feel better because they realize there are actually people who care about them. Sharing is very important in relationships too. It makes people come closer. It brings harmony and peace among the people. With Changing times, many men have voiced their support to Sharing the load. Its shouldn’t just end with raising their opinions, men should pull their weight more and share the load. To show my support, I took part in the Ariel #WashBucketChallenge this week to #ShareTheLoad of household chores and reduce the burden on my mom. Here is me helping in household chores!! Family is all about loving, caring and sharing. So lets take a pledge and share the load and lessen the burden on our mothers, sisters and better halves.